Members of the Society enjoyed a gloriously sunny weekend in King’s Lynn and Norfolk on the 13th-15th October 2017. A formal write-up will appear in our Bulletin, the original provisional plans are still on our website, and below is an overview of what happened with some pictures. 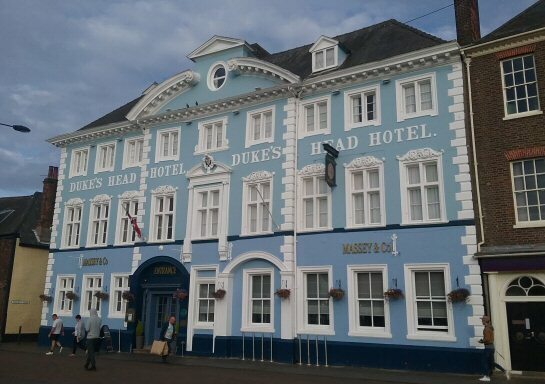 On Friday night we met informally at the Dukes Head Hotel with members coming from all over, including Jerusalem and Massachustts, America. The hotel put on an impromptu buffet and the room was full of friends chatting and catching up. On Saturday morning at Marriott’s Warehouse, on the quay next to the Ouse, we had our morning sessions, starting with an introduction to the warehouse and then the development of Lynn and it’s state when George Borrow visited in 1857. Dr. Paul Richards is not only a very able historian but very much a citizen of King’s Lynn, and his talk was punctuated by fascinating insights into recent Lynn events as well as mediaeval and Victorian Lynn. Next John Hentges spoke on the poem in Borrow’s Romantic Ballads, published 1827, headed Lines to Six Foot Three. If you’ve not seen it before there’s a copy on our Website. Many Borrovians think the poem was written by Borrow about himself, whilst others say there are parts which cannot possibly be about Borrow. John used the letters of Borrow and Roger Kerrison, together with passages in Lavengro, to show how a near suicidal young Borrow, thinking his hopes dashed by the likes of Richard Phillips, wrote a poem about his ideal self and how he hoped things would have been. John also spoke on the difficult subject of Borrow’s sexuality. Lastly, Clive Wilkins Jones took us through Borrow’s experiences of inns and hotels: from his most disastrous adventure in Spain where he was exiled to a ruinous shed, to the many inns of Wild Wales. Clive pointed out a few things Borrow never mentioned: the lack of sanitary arrangements, the smells, the bed bugs etc. Perhaps this was his distain of gentility, as to complain and note the basic facilities would of course been the note of the gentile. 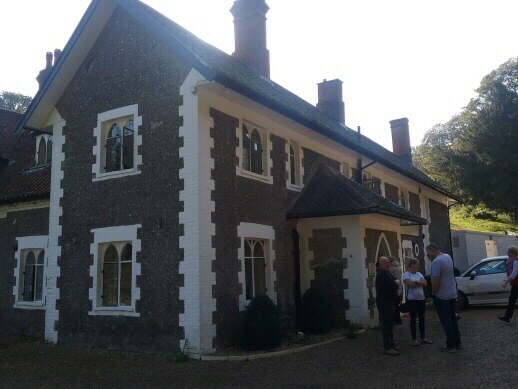 After the Society biannual AGM we enjoyed a very pleasant buffet and in the afternoon Dr. Paul Richards took us on a very interesting tour of historic Lynn, which also included his own back garden complete with two very cute black kittens. It’s impossible to give an idea of just how good Dr. Richards was: at each stop he pointed out numerous things, weaving it together into the overall history of Lynn, showing what had been accomplished by way of conservation, and having an endless store of names, dates and places to answer the obscurest question. In the evening we had a dinner at the Duke’s Head and a very clever toast proposed by David Nuttall. On the Sunday we set off at 9 a.m. to see the places George Borrow had seen in his three walking tours of 1856–57. Borrow’s notebook still survives (covering 28 April to 4 May 1856, 28 July to 31 July 1856 and 4 May to 12[?] May 1857) and a transcription by Ann Ridler with additions by Tony Fielder and Ron Fiske was provided to all who attended the weekend. Unlike Borrow, we were starting from Lynn and so not following in order. 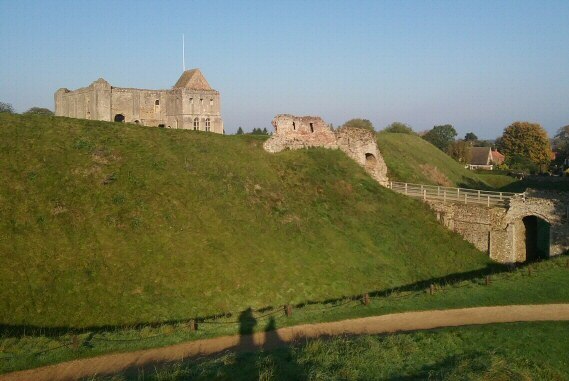 Castle Rising was a very beautiful village with almshouses, a fine church and of course the castle on the hill. We had bright sunshine and warm weather and everywhere looked stunning. 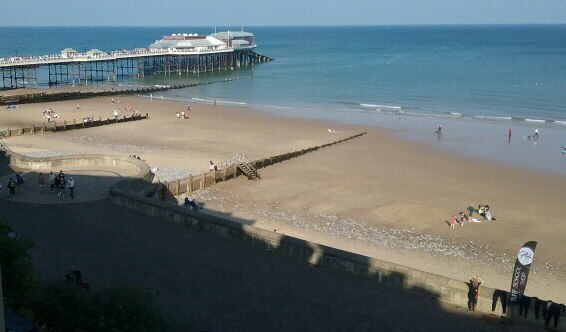 After Northrepps we went back to Cromer and Tony gave us a guided tour. The hotel where Borrow stayed on his walks (Tuckers) has been demolished and replaced by a modern row of shops with a farm deli (it’s in Tucker’s lane). Cromer still has it’s fine church (which was opposite Tuckers), panoramic sea views: a point near the pier is one of the few places in England where you can see the sun rise in the morning over the sea, and set over the sea the same day. 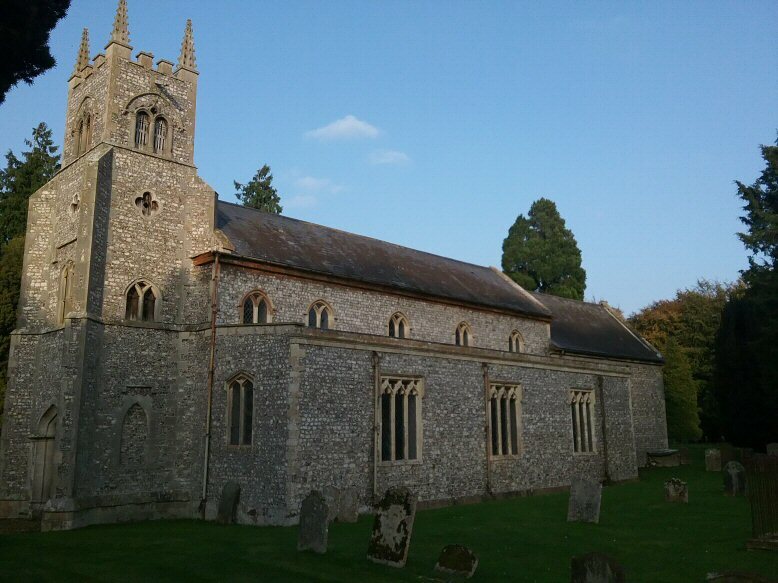 We then had a carvery lunch at the Sea Marge hotel which unfortunately threw our otherwise excellent timing for the day, and then to Houghton Hall (built by Sir Robert Walpole, Britain’s first prime minister) for a look at Houghton St. Martin’s church which stands within the grounds. And then it was back via Gaywood to Lynn, where our kind coach driver dropped us off at the railway station and we managed to catch the train with three minutes to spare! Quite a few of our members were staying on a Lynn and no doubt had a very pleasant time.